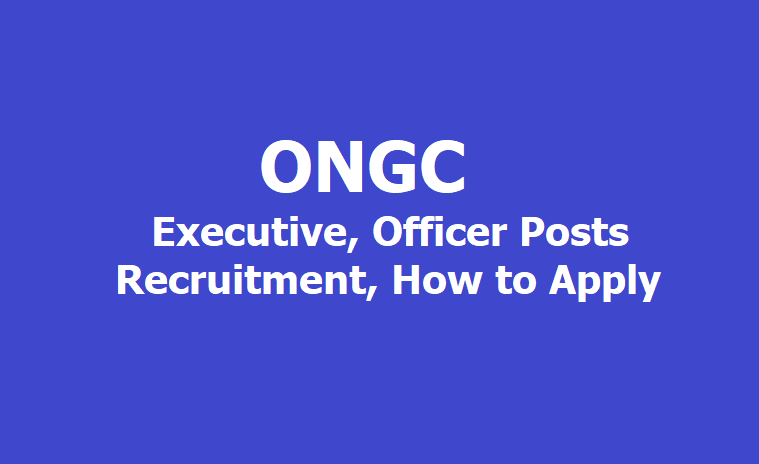 ONGC Recruitment 2019 Apply for 23 Executives at E1 level through UGC-NET Exam June 2019. The Oil and Natural Gas Corporation Limited (ONGC) has invited applications for the Human Resource Executive and Public Relations Officer posts through UGC-NET Exam June 2019. Interested and eligible candidates can apply to the post through the prescribed format on or before April 9, 2019. Students in the final semester of the qualifying course can also apply. However, they must be able to produce mark sheet and course completion certificate with minimum 60% of marks in the essential qualification on or before 31.07.2019. The selected candidates will be placed in the pay scale of Rs. 60,000 - 180,000//- with an increment of 3 per cent per year. Besides Basic Pay, the employee will get allowance @ 35 per cent of Basic Pay under Cafeteria Approach, Dearness Allowance, HRA/Company Accommodation, Contributory Provident Fund, Conveyance Maintenance, Substantial Performance Related Pay (PRP), Medical Facility for self and dependents, Gratuity, Post Retirement Benefit Scheme and Composite Social Security Scheme as per Company rules. *12 posts are reserved for PWD-VH which includes 7 backlog posts reserved for PWD (VH) category of 2018 recruitment drive (Advt.1/2018(R&P)). Human Resource Executive: MBA with specialization in Personnel Management / HRD / HRM with minimum 60% marks OR Post Graduate degree in Personnel Management/ IR/ Labour Welfare with minimum 60% marks OR Minimum 2 years full time Post Graduate Diploma in PM/IR/Labour Welfare with minimum 60% marks OR 2 years full time PGDM from IIM with a minimum 60% marks. Public Relations Officer: Post Graduate Degree/minimum 2 years diploma in Public Relations/Journalism/Mass Communication with a minimum 60% marks. 1) UGC NET Application/Registration No. 2) Valid Mobile number & E-mail ID in which the OTP will be sent for completing the registration process. 4) Caste certificate to fill details regarding community, state & district, if belongs to OBC/SC/ST category. Step 2) Online application at link available on www.ongcindia.com along with UGC-NET Registration/Roll number. 3) Candidates are required to first submit their application on-line for UGC-NET examination following the steps prescribed in the information brochure for the examination. Step 4) For detailed information on UGC-NET examination, the interested candidates may log on to https://ntanet.nic.in/ntanetcms/public/home.aspx. Step 5) On completion of online application process, the candidates will be required to take print out of Application Form, Attendance Slip and Admit Card. These documents will also have the UGC-NET Registration/Roll Number of the candidate. Candidates must preserve these documents carefully. Step 6) Candidates after filling the form of UGC-NET examination will apply online through the link "Online application for recruitment of executives through UGC-NET June 2019 Examination" on www.ongcindia.com. No other mode, repeat no other mode, of application shall be accepted. Step 7) The candidate can access the online application form at www.ongcindia.com. The online registration site would be opened from 18/03/2018(tentative)to 09/04/2019. Step 8) If there is no post for reserved category, candidates belonging to reserved category can still apply for unreserved posts. However age relaxation will not be extended to them.